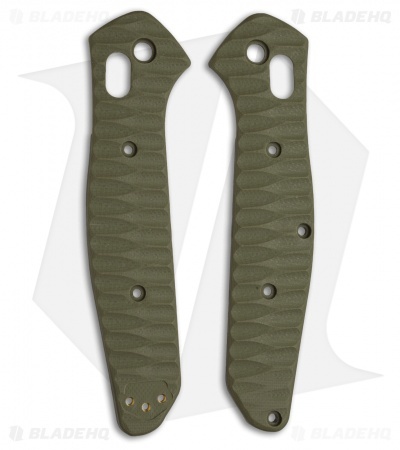 These scales are specifically designed for the Benchmade 940, and will not fit 940-1 or 940-2 models. Customize your Benchmade 940 knife with these sculpted G-10 replacement scales designed by Allen Putnam. They are made from heavy duty G-10, with a sculpted texture that enhances grip and feels great in hand. This model comes in an OD green color.